Please wipe that drool off your face, you might drop some on the page. 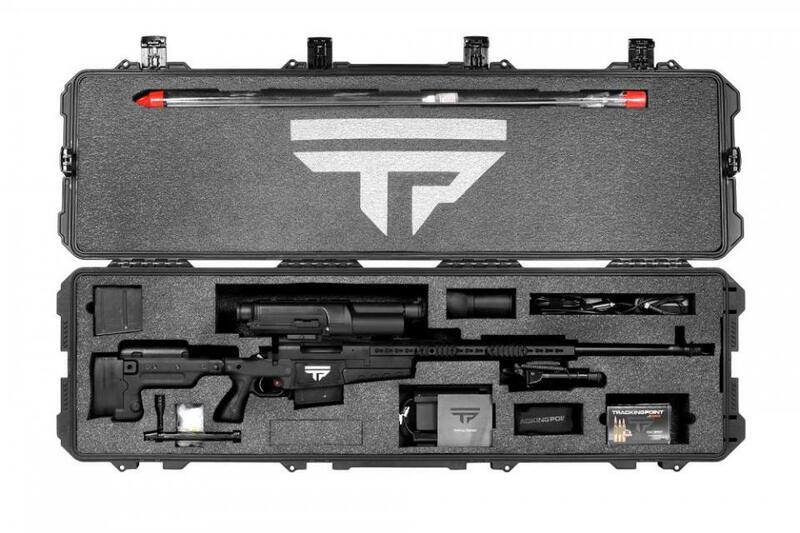 So here is a setup that has an iPad that would pair with your gun’s scope, and would allow you to actually ‘lock’ on your targets, take all-weather conditions into account, and fire a shot so jaw dropping awesome that you absolutely cannot miss. As an added benefit there is always the good feeling of living like an open source soul, even if it will cost you $22,500, although that is not way off creating the same setup yourself. The XS1 is the largest-caliber Precision Guided Firearm (PGF) available today. It offers the longest Tag Track Xact™ effective range of any PGF. 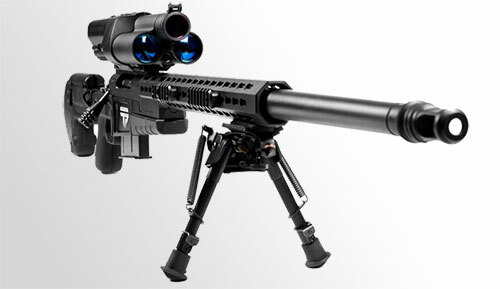 Its performance is driven by a bolt-action, .338 Lapua Magnum Surgeon™ XL action. The 27-inch, Krieger™ cut-barrel is fitted in an Accuracy International AX chassis with detachable Picatinny rail pieces. The image displayed on the scope isn’t a direct visual, but rather a video image taken through the scope’s objective lens. The Linux-powered scope produces a display that looks something like the heads-up display you’d see sitting in the cockpit of a fighter jet, showing the weapon’s compass orientation, can’t, and incline. 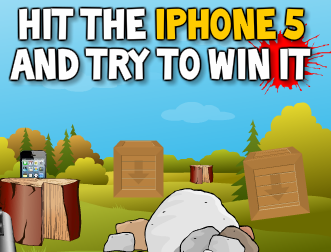 To shoot at something, you first “mark” it using a button near the trigger. Marking a target illuminates it with the tracking scope’s built-in laser, and the target gains a pip in the scope’s display. When a target is marked, the tracking scope takes into account the range of the target, the ambient temperature and humidity, the age of the barrel, and a whole boatload of other parameters. It quickly reorient the display so the crosshairs in the center accurately show where the round will go. Image recognition routines keep the pip stuck to the marked target in the scope’s field of view, and at that point, you squeeze the trigger. This doesn’t fire the weapon; rather, the reticle goes from blue to red, and while keeping the trigger held down, you position the reticle over the marked target’s pip. As soon as they coincide, the rifle fires. The XS1 delivers our longest effective range: Tag Track Xact (TTX) to 1,200 yards. And it features our longest parallax-free zoom: 6 to 35X. The scope streams video to Android and iOS smart phones and tablets. Wind speed is the only data you’ll manually input to the scope, using a toggle button. The XS1 uses 300 gr. Sierra™ Open-Tipped Match XactShot™ ammunition by Barnes®, loaded to +/- 10 fps standard deviation muzzle velocity. So a good deal, all in all. If any of you would actually like to have one of these, you should be looking at www.tracking-point.com. This music player unlocks a whole new world for mobile audiophiles, including a 10 band equalizer, greatly expanded file support, and a somewhat customizable interface. Ever since Gingerbread days till now, Poweramp continues to be the most powerful music player for Android and has a huge fan following. The interface is somewhat similar to the stock music app, but it unlocks several new features for advanced playback that should meet just about any need you might have on your phone or tablet. For example, instead of just using a long, nested set of commands, you can give quick commands like swiping to navigate playlists quickly. Oh how wonderful the file support is. While listening to FLAC files on your mobile device is a little silly when you think about it (as most phones don’t have a good digital to analog converter chip), being able to equalize your music while listening on the go is fantastic if your music tastes vary. If you have great headphones to match, this is a fantastic way to bring out the best in your music when you’re on the go. As another plus, this app doesn’t seem to chew through as much battery as other music players do. Once installed, you’re presented with a clean and easy to use interface. The UI is extremely novice-friendly giving you oversized media . 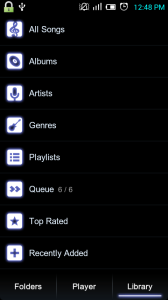 Your music can be sorted according to the usual artist, album categories or you can choose folder view, which shows you all your music the way you have copied it on your phone. Tapping on this takes you to the playlist from where you can switch folders. The album art area also houses the shuffle and repeat toggle buttons along with a five star rating system. What makes Poweramp one of the most sought after music player is the long list of audio formats supported. The list includes mp3, mp4/m4a (including alac), ogg, wma, flac, wav, ape, wv, tta, mpc, aiff, which covers pretty much every format you can find audio in these days. The ability to customise the sound is also very extensive. We start off with a 10-band graphic equaliser that can be used to fine tune your music depending on what genre of songs you listen to the most. There are plenty of presets as well and you can also use the sound enhancements (like Dolby or HTC FX) that come with some phones in Poweramp. 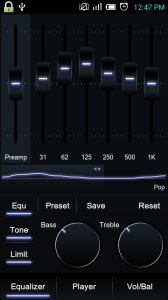 Besides that, you also have the option to adjust the bass and treble separately along with a volume limiter. 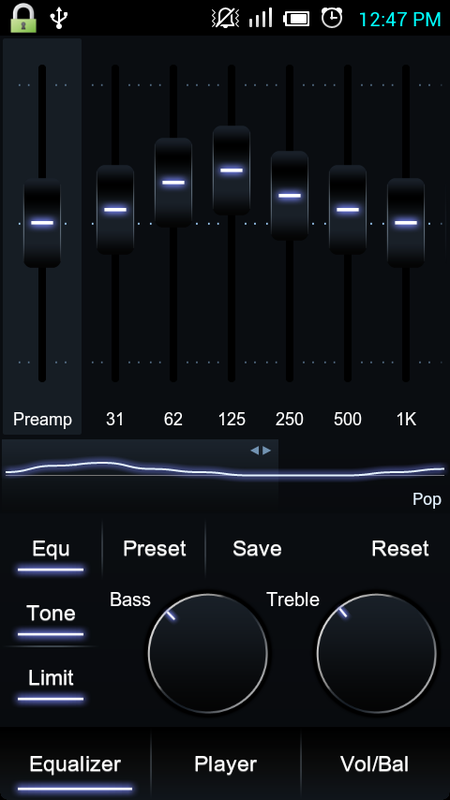 You can also add extra effects like Stereo eXpansion, mono mixing and adjust the balance. Every change you make is noticeable provided you have a good pair of headphones. Other features include support for crossfading, gapless playback, queuing system, ability to update missing album art and even download lyrics of the song through the musiXmatch plugin. With the right pair of headphones, the audio quality is really good and beats any other player in the market. The equaliser and or audio effects make a huge impact on the audio quality and you can actually make out the difference between mp3 and flac files. One neat feature is the ability to parse .cue and m3u files. If you download radio shows, especially trance music, you’ll often come across one single file that’s an hour long. Cue and m3u files help breakdown this singular file into individual tracks so you can skip to the one you want without having to split the track physically. 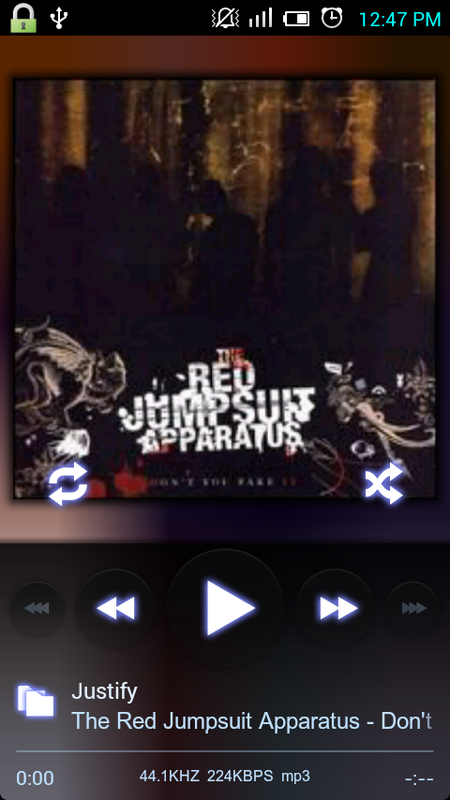 Gapless playback support is also present for albums that feature it. You also get plenty of widgets for your homescreen to choose from, including a very nice lockscreen widget. You can customise the amount of information to be displayed on the lockscreen widget too, from album art to equaliser controls. 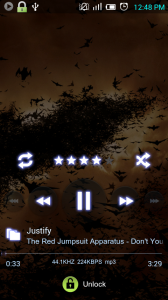 Poweramp also gives you the option to change the theme. You get a bunch of them by default and you can even install third party themes from the Play Store. One feature that we feel should be added is a social component. Apps like MixZing allow you to play your music from your library as well as search for trending tracks around the globe. 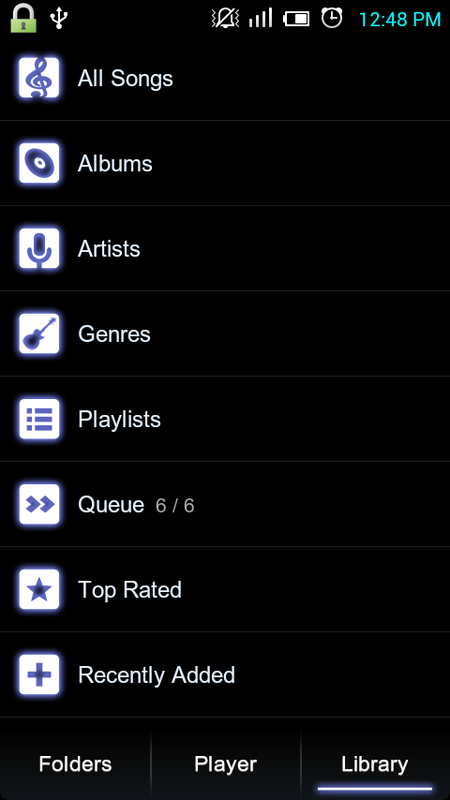 You can even see what your friends are listening to at the moment and rate songs so your friends can find them. Verdict : Worth the download? If you want to milk a better audio experience out of your mobile device and don’t want to carry around all sorts of unnecessary clutter like external amps in your pocket, this app is a good way to start consolidating your devices into one unit. 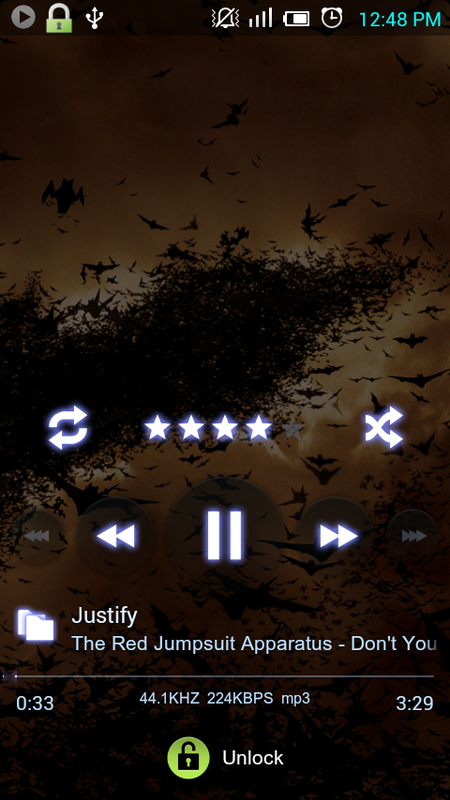 Poweramp is available for as little as Rs129 for the full version, which makes it extremely good value. The app is compatible with Android v2.1 and upwards and is constantly being updated with bug fixes and support for the latest version of Android. If you have an Android phone and want to experiment with its audio, Poweramp is the most popular audio app in the Play Store for a reason and we strongly suggest you ditch the stock player for Poweramp. If you wanna remove those nasty ads from the pages which waste lot of time and bandwidth then here is something for you I believe will help you a lot. This is done without using any software. It’s possible to set up a name server as authoritative for any domain you choose, allowing you to specify the DNS records for that domain. You can also configure most computers to be sort of mini-nameservers for themselves, so that they check their own DNS records before asking a nameserver. Either way, you get to say what hostname points to what IP address. If you haven’t guessed already, the way you block ads it to provide bogus information about the domains we don’t want to see – i.e., all those servers out there that dedicate their existence to spewing out banner ads. Note: Windows 7/8 users might want to open a notepad with administrator rights then edit the host file, without it an error with not enough permission will going to pop up. The format of the hosts file is very simple – IP address, whitespace, then a list of hostnames (except for older Macs; please see above). However, you don’t need to know anything about the format if you don’t want to as you can just view the list hosts file. You have to copy all these domain names from here and paste at the end of your hosts file. Here is a text file if you are lazy enough and dont want to copy all of them. The Google Quiz: Are you a Google expert ? 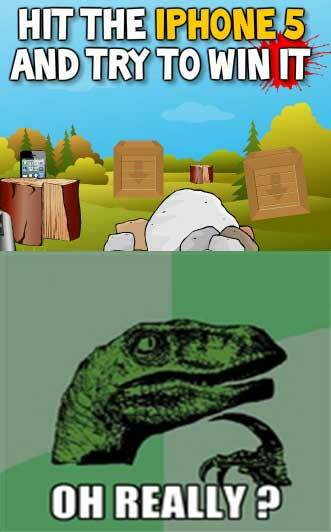 How much do you know about Google? 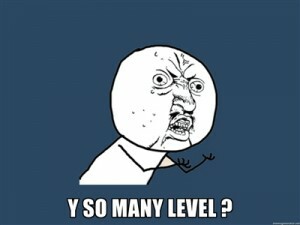 Get a pencil and cross the single right answer for every question, and calculate your score afterwards. Which search operator does Google enable by default? 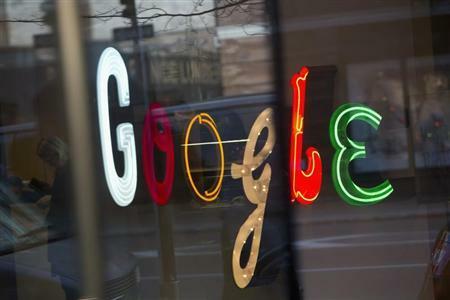 Google once used Yahoo’s search result to feed its engine.True? No, it was the other way round – Yahoo used Google once. No, Google and Yahoo never had any search relationship. What was the name of the search engine the Google founders developed before Google? What is the algorithm behind Google’s PageRank? Why do some sites get “banned” from the Google index? At which university did the Google founders meet? Around how many hits do you get for the word “Hello” (in 2006)? At the Association of National Advertisers annual conference in October 2005, who said Google will take 300 years to fulfill its mission to index the world’s data? 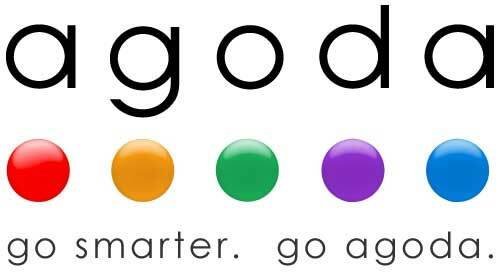 What colors do the letters of the Google logo have, from left to right? 1 – b, 2 – c, 3 – a, 4 – b, 5 – b, 6 – c, 7 – b, 8 – a, 9 – c, 10 – c, 11 – a, 12 – b, 13 – c, 14 – a, 15 – b. Here are some apps to get you started and on the way to getting extra value for the money you spend on your upcoming trips, and also in a way unlocking your smartphone’s hidden potential. For any new place you visit, inevitably there are bound to be a lot of questions – mostly regarding which place to visit. 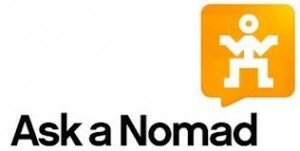 Quite simply, Ask A Nomad lets you ask a question, and get answers from other users who may have some idea about that subject. This is a lot more interactive than just searching for information on the web. Alternatively, you can also answer questions about places you’ve been to. The app divides the world very neatly into continents, countries and then cities. This makes asking a new question, reading other discussions and replying to a query simpler. Better way of getting all the information you need about a place, from people who have probably already been there. This is an app you should definitely refer to, because it will surely have information on the hotel that you plan on staying in. Considering over 1,50,000 hotels worldwide are a part of this database, users can search for hotels based on pricing and type, and even get special deals. This service also lets you book using credit card, along with special offers and deals from time to time. We believe that even though you may find it a little risky to book from here, it is useful app to check out and compare hotels. This app isn’t very new, but it is a must have on every smart mobile device and most people have used it. But if you have a number of contacts who are explorers in their own right, this may just be the app for you. Utilise the knowledge base of your friends to get information about a place you’re going to visit, or have already checked in to. Also get recommendations from other users who have visited the place and written reviews about it. Use Expensify on your Android™ device to log expenses, capture receipt images and manage reports on the go! Even better, SmartScan will read your receipt images, fill out the expense details, and create a new expense (or attach to an automatically imported bank/card transaction). 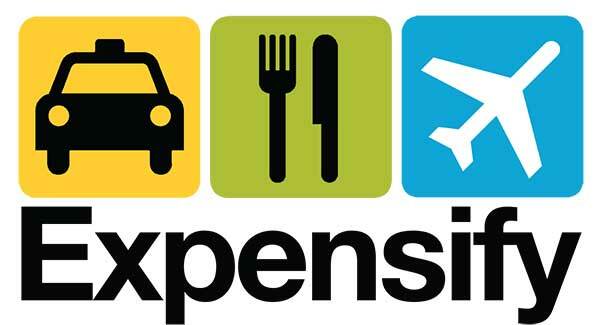 An essential app for business travelers, Expensify allows users to scan or log their receipts to be compiled into expense reports. Google Translate helps you make sense of 63 different languages. You can even speak text to be translated into the local language. Search by taking a picture: point your mobile phone camera at a painting, a famous landmark, a bar code or QR code, a product, a storefront, or a popular image. If Goggles finds it in its database, it will provide you with useful information. Goggles can read text in English, French, Italian, German, Spanish, Portuguese, Russian, and Turkish, and translate it into other languages. If you are sensitive to weather changes or do not like snowfall or rainfall, you would obviously be interested to find out about the weather in the places where you are going to be during your trip. 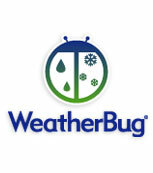 WeatherBug gives accurate and reliable weather information, letting you know beforehand the kind of weather you can expect during your stay in a foreign city. This app allows you access to the most reliable weather stations across North America to find out the exact weather conditions at thousands of locations around the world. You can thus avoid places where weather is not to your liking if you have this app installed. Immediately after Apple Maps landed, customers and critics complained loudly (and rightly) of inaccurate location search and a lack of map data over points of interest. Fortunately, Google does search better than most everyone, and Google Maps for iOS is no exception. You also can search for addresses like you would expect, but also landmarks, local restaurants, businesses, and common search terms like “pizza.” Google database is more extensive and generally much more accurate than Apple’s offering. The kernel mounts the root file system. NOTE : On Red Hat Linux, the init note is especially obvious, because it “welcomes” you to “Red Hat Linux.” All messages thereafter show success or failure in brackets at the right-hand side of the screen. In the preceding example, now is the time to shut down. This argument is mandatory, but there are many ways of specifying it. If you want the machine to go down sometime in the future, one way is to use +n, where n is the number of minutes shutdown should wait before doing its work. For other options, look at the shutdown manual page. # The initial rc0.d/rc6.d commands run, locking system files into place and making other preparations for shutdown. # The next rc0.d/rc6.d commands unmount all filesystems other than the root. # Further rc0.d/rc6.d commands remount the root filesystem read-only. # Still more rc0.d/rc6.d commands write all buffered data out to the filesystem with the sync program. 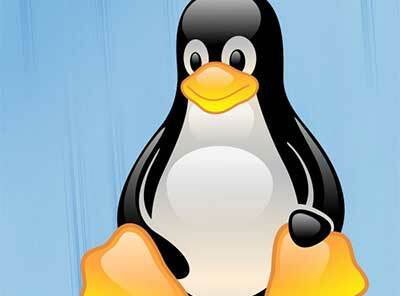 # The final rc0.d/rc6.d commands tell the kernel to reboot or stop with the reboot, halt, or poweroff program.